Last time I was here, I gave this place my most divergent scores, with a 3 for the main course and a 9 for the dessert. 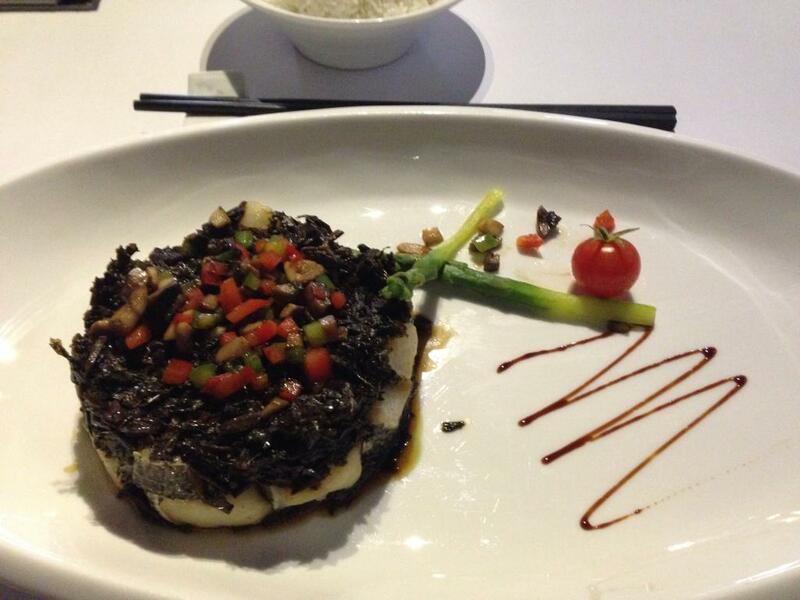 The fish has an unusual texture, and a mild but pleasant, fishy taste. It breaks apart easily, but requires a few extra chews at the end. It seems to have a shorter "grain" than other fish. The pickled cabbage is surprisingly mild. It's something like spinach with a bit of soy sauce. This mild flavour makes it edible in reasonable quantities, and also means it doesn't overwhelm the fish. 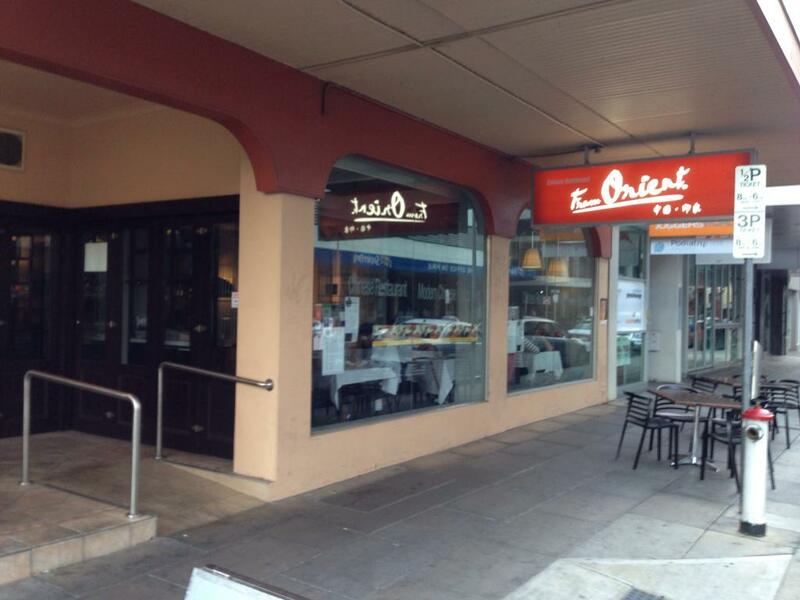 There are numerous Asian restaurants in Adelaide, but few are fancy like From Orient. 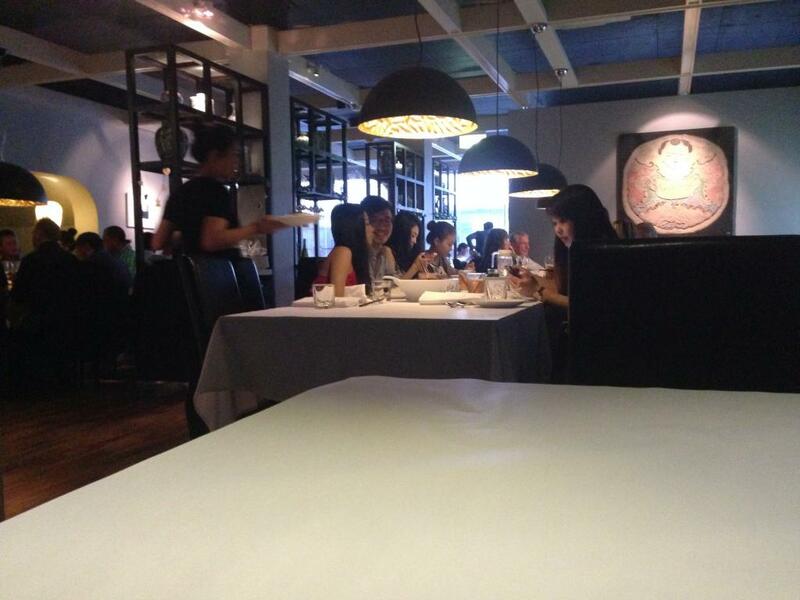 Usually, just serving typical foreign food is fancy enough for most people. The fancier restaurants tend to be Modern Australian places, who can't get away with just serving typical Australian food. 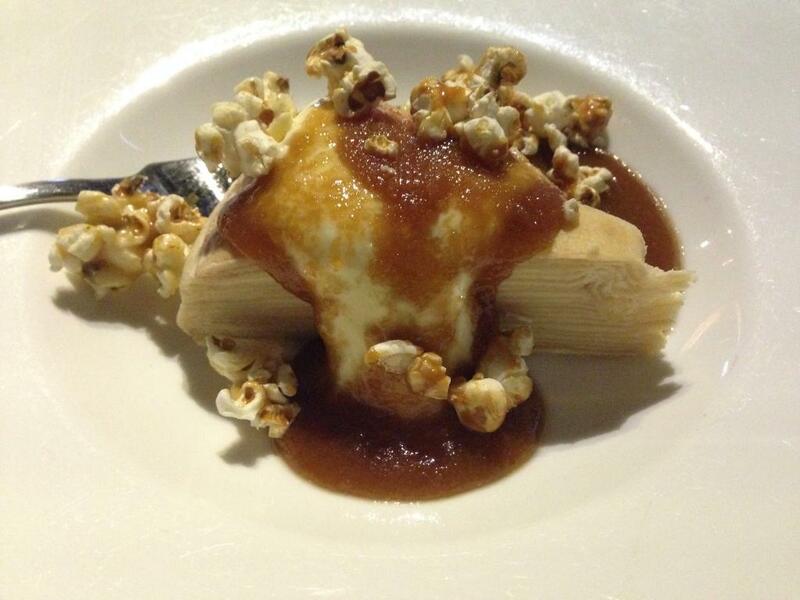 Thousand-layer crepes with local cream cheese filling and finished with caramel sauce and crunchy popcorn. Not quite a thousand layers, but this dessert's many layers create a very interesting texture. The layers are semi-solid,and taste half way between pancake and sweetened cream. The crunchy brown sugary sauce on the plate just adds unusual texture to this dessert. This dessert is some fairly typical flavours, but with bizarre and interesting textures. The novelty quickly wears off this very rich dessert, however.